Originally from Idaho, Shaun and Rex are cousins. Shaun has lived on the Kenai Peninsula since he was a child. 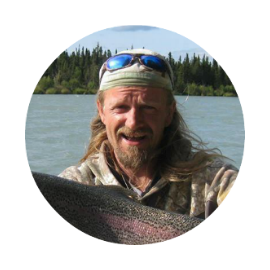 A ravenous hunter, fisherman and all around outdoors expert, Shaun has hunted, fished and bagged every species possible in Alaska except a Polar Bear. As a guide in the Kenai for over seven years, Shaun's familiarity with the average fisherman's challenges led to his designing this simple yet effective trap. Known as an ice fishing tip up, Shaun would point out that the company has tested the unit in the summer also with great success. Originally from upstate Idaho, Rex has been an Alaska resident since the late 1970's. Rex is Shaun's cousin and also a dedicated fisherman. A certified electrician, Rex has worked for many years in the oil industry and is currently employed by an Alaskan Company in the oil fields of North Dakota. Rex loves to fish and wets a hook whenever he gets a chance. Rex is also a Harley enthusiast and owns two beautiful "Hogs". Butch is originally born in the Adirondack Mountains in upstate New York where his family history can be traced back to the arrival of his distant grandfather as a French Marine in Montreal Quebec in 1672. An avid skier, fisherman and hunter, Butch's Dad taught him the skills that would ultimately draw him to Alaska. On his journey he moved to the Chicago area and ultimately the mountains of Colorado in Aspen and Winter Park before joining the Army in 1977. In 1978 he was assigned to Alaska as a member of the US Army where he would get out in 1980. After seven years on the pipeline and living in Valdez, Butch reentered active military service and spent the next twenty years as a paratrooper and combat medic coming back to the state twice when he could get the army to assign him back to the state. Deployments world wide culminated in a final deployment as a member of the 4th Brigade Combat Team (Airborne), 25th Infantry Division. His proudest achievement is bringing back all the medics in the unit after many acts of valor and saving lives were performed by his well trained paratroopers. 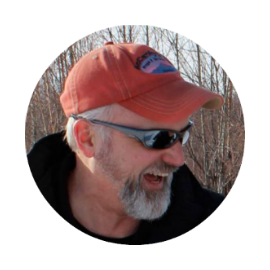 A BS in Occupational Education and an MBA with graduate work in Project Management provide Butch's professional education he uses every day in his position as the Matanuska Susitna Boroughs Solid Waste Division Manager. 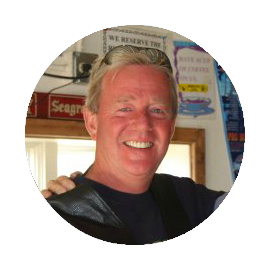 Butch is the business adviser and driving force behind the businesses organization.